Last week, the Mobile Star Awards program presented by MobileVillage announced its 2016 winners, and we’re proud to announce that OpenMarket received a “Shining Star” in the “Mobile Enterprise Awards – Mobile Customer Engagement & Marketing” category for our Global SMS API. The award designates the best new mobile products of the year. Since 2001, the Mobile Star Awards program has showcased the best products in categories covering consumer mobile apps, mobile devices, enterprise mobile services, technology visionaries, and success stories. Winners are chosen by the mobile-savvy followers of MobileVillage.com and readers of its bi-weekly “Go Mobile™” email newsletter. OpenMarket was among hundreds of mobile companies competing for this year’s awards. Our Global SMS API won in the “Mobile Customer Engagement & Marketing” category for its ability to help companies build intelligent SMS messaging programs and improve the end user’s experience. Every day OpenMarket works with some of the largest enterprises in the world to create innovative SMS solutions. We’re honored to be recognized for our success in helping enterprises worldwide meet their needs. 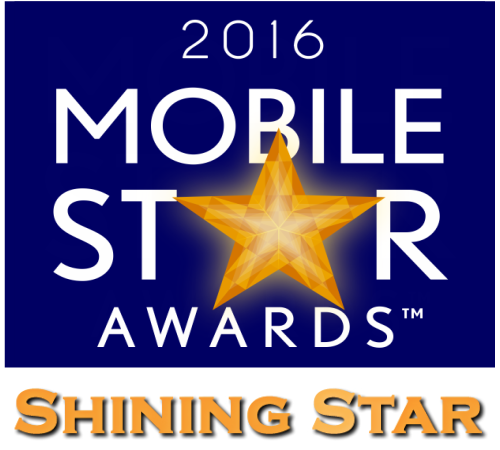 The full list of 2016 MobileStar Awards winners can be found here. For more information on OpenMarket’s Global SMS API and other mobile messaging solutions, please contact us today!